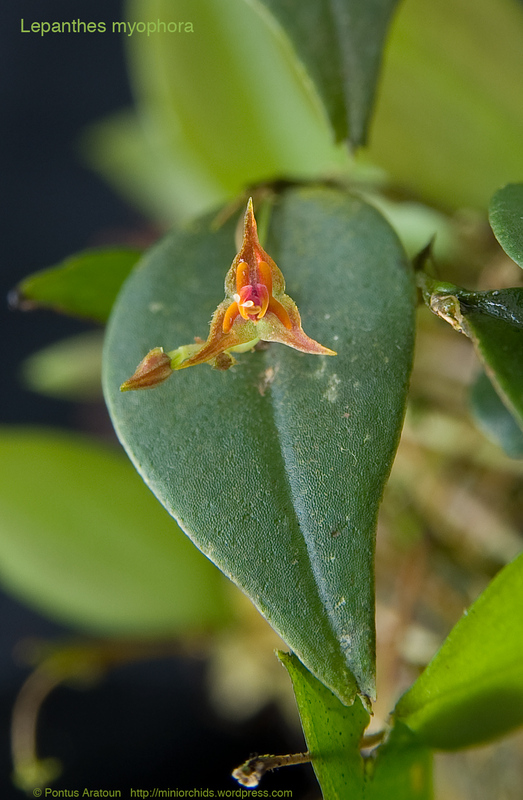 Lepanthes myophora. Probably this species but not 100% shure. 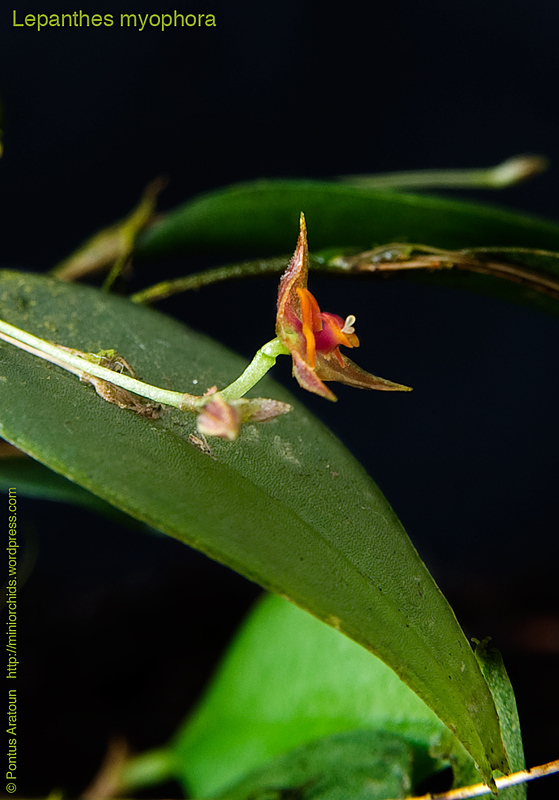 This tiny species grows in Panama and Costa Rica. At elevations of around 1000 meters. Said to be warm growing but it thrives in my vivaria were the temperatures is Min Temp +10°C to +12°C and Max temp +20°C. Lots of airmovment and it livs in constant fog close to my fogmachine. 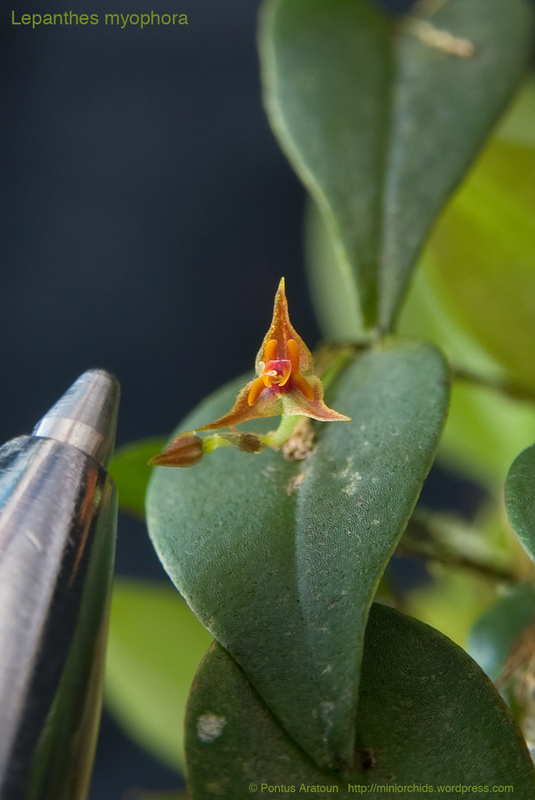 The flower is about 2 mm big so not so massive.